For my husband Ralph and me, the Camino has been an integral part of our life for many years. Reflecting back to our first walk along the Camino Frances in 2001, it was a natural progression, but it was a daunting proposition nevertheless. Ralph and I met in 1987 on a Sierra Club car-camping trip to Baja California. We had two weeks living in primitive circumstances in which to get acquainted. There were mishaps: people getting lost. There was reality: campsites that varied from dirt lots surrounded by cyclone fences to sandy stretches along beautiful azure waters. There was me with wind-blown hair and no makeup beyond lipstick (oops, not much has changed, there!). There was romance: together washing the group’s dishes each night (clean dishes and warm hands) and walks on the beaches, getting fresh shrimp right off the fishing boats, and dancing under the palm trees to the sound of a Mexican band playing nearby for a wedding party. I’ll skip the details of our many years of backpacking in the Sierra except to emphasize that we had considerable hiking and backpacking experience before our first Camino trip. We knew that we could be happy with minimal comforts, and with spending 24 hours a day in each other’s company. But we had never attempted a 500-mile hike across an entire country! Other than it was an ancient pilgrimage trail, I knew very little about the Camino before we started. I knew that we started in the Pyrenees, that we would come down through the Basque country, then would cross the meseta, and end up in Santiago de Compostela. Ralph, who for all of our time together has been our household techie (he was a computer person by occupation), knew a great deal more because he had prepared a spreadsheet showing distances between towns and places to stay. I did many of the chores associated with leaving home for six weeks—phone calls to credit card companies, double-checking the care of my 90-year old mother, arranging cat sitting, and packing. 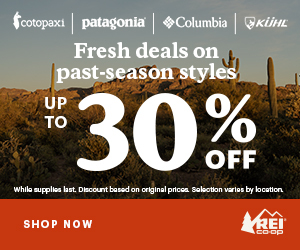 Since we had just finished the John Muir Trail (JMT) a couple of weeks before the 2001 trip, I was confident about my ability to walk the miles and to deal with the elevation of the Pyrenees. However the refuge at Orisson had not yet opened and we thought that the 16-mile hike from St. Jean Pied de Port to Roncesvalles was too much for our first day out, so we started from Roncesvalles. My blister problem started that first day—even though I was wearing the same boots and socks that I had worn on the JMT. It was undoubtedly the hard surfaces and the higher temperatures (we have since become trail-runner advocates). A French woman showed us a stretchable tape for preventing blisters. Ralph’s checking or bandaging my feet became a nightly ritual. A couple of weeks along, we met a woman from Brazil. She spoke only Portuguese, but we hit it off. When we last saw her, she told us, with the help of an interpreter, that she was touched by the fact that Ralph showed his love for me by caring for my feet. We loved the meseta. True, it was mostly flat, but the hills in the distance provided visual relief. Being September, many of the fields had been plowed under, but there were still huge swaths of sunflowers, and other fields were covered with subtle shades of tans, browns, and golds. There were houses scattered along the way, and we passed through many small villages. I was amazed that by corridors of young trees and new benches that had been placed along the pathway; these installations had been provided primarily for pilgrim benefit. The Cantabrian range WAS a big surprise—who knew there were more mountains to cross before reaching what was expected to be a wet and wild passage into Galicia! The weather, however, was cooperative. We had rain, and light at that, only a couple of times while on the Camino—our umbrellas were actually more useful for protection from the sun. We loved the people of the Camino. There were dozens of townspeople who blessed us with the “Buen Camino” as we walked along, or gave directions when we looked confused. Our fellow pilgrims were considerate and interesting. We usually stayed in refugios (now called albergues), but when we wanted more privacy—and less middle-of-the-night-noise—we stayed in alternate accommodations—privately run hostals, hotels, or rooms above a bar. Our trip came to an unexpected ending with the events of September 11, 2001. On a blaring TV in a bar full of Spanish diners enjoying their meal with their usual animated mealtime conversations, we watched what was happening back home. At first, hearing “Washington” mentioned repeatedly, we thought we were watching forest fires in the State of Washington. But soon we were seeing images of the Twin Towers, and the room became quiet as others became aware of the attacks that had taken place. Because our Spanish was limited and we were in a fairly remote location (way before iPhones and the like), we had a hard time getting news. We found a library with access to the internet and were able to get more information; we received emails from friends at home. We learned that airports were closed; we didn’t know how long that would last. We decided to shorten our time on the trail by busing the 60 miles between Leon and Ponferrada. From there we continued our walk to Santiago, and then headed back early to Madrid to allow more leeway for catching a flight home. The Camino was much harder for me than it was for Ralph; I tend to push myself too hard and then break down. Luckily for me, my husband is often able to see the signs before I do—time for a water or snack break. He is unfailingly supportive. I chose well, someone who doesn’t get caught up in my drama, but who listens to my fears or concerns and is reassuring. How could I not love him! Though there were physical and emotional challenges for me on the Camino, there were even more rewards. It expanded our horizons. My confidence rose. We could cope with the difficulties of travel (long flights, etc.) and then we could enjoy encountering new people and cultures, foods, music, varied landscapes, historic sites and cities—and we could communicate well enough in the various languages to get by. On this first trip, there were no forums or websites to speak of. There was a fledgling group known as American Association of Friends of the Road to Santiago, forerunner of the American Pilgrims on the Camino (APOC), but there were few members and limited resources. This group created one of the few good sources of Camino information, the GoCamino listserv. When we came home, Ralph created one of the first Camino websites, backpack45.com as a way of paying forward for all the help we had received. I started my book, Camino Chronicle, Walking to Santiago and in the process did a lot of research on the history and culture of the trail. All told, we have now made 13 Camino pilgrim walks. After most of our Camino walks, I go through some withdrawal pains like so many others have experienced, however, these unsettling periods have become shorter. In part because I know they will diminish over time, but also because I now recognize that the Camino is no longer separate from our “normal” life. We continue our hikes year-round, we keep in touch with, and see, many Camino friends, we “share” stories and photos on Facebook, we go on local Pilgrim walks or to their events—and I have the benefit of being able to do outreach with my books and our presentations at REI and other venues. It also helps that we are usually soon planning our next trip! When asked if we had any favorite sayings, the fairly frequent one is “whose idea was this?!! !” This, uttered tongue-in-cheek, is generally when we’re in the midst of a torrential downpour or when wallowing through a stretch of muddy trail. 2004-2006: We completed the LePuy, FR route from LePuy to Logrono (in three stages). That also allowed us to make the pass over from St. Jean to Roncesvalles, on to Pamplona (a second time), bus ahead to Leon and walk the part we had missed in 2001 to Ponferrada. 2008-2010: Arles (France) route from Arles to Logrono (three stages). We also returned to Leon to cover the 60 miles we had had to skip over in 2001. 2011: We walked the first half of the Camino Mozarabe—from Granada to Cordoba before the trail was literally flooded and for the remainder of the trip we turned into tourists bussing through the beautiful Moorish cities of southern Spain. 2012-2013: We followed the newly-signed route from Geneva to LePuy. We got off the trail when I developed a leg infection, and returned the second year to complete the route, then turned north onto a minor Camino route towards Lyon. 2014: Had to cancel a trip due to my health. 2016: Camino Norte (in progress!) We made two trips to Spain, spring and fall—interspersed with time back home due to my Mother’s decline and subsequent death. 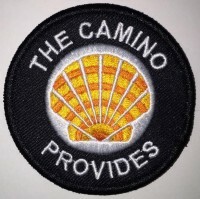 2016: We plan to complete the Camino Norte (about 60 more miles) this year and then tackle the Camino Primitivo. Susan Alcorn is the author of several books including Camino Chronicle, Walking to Santiago, We’re in the Mountains Not over the Hill: Tales and Tips of Seasoned Women Backpackers, and Patagonia Chronicle: On Foot in Torres del Paine. Susan writes about regional hiking for Examiner.com at www.examiner.com/hiking-in-san-francisco/susan–alcorn and has a blog at backpack45.blogspot.com. Susan’s book is featured on the Camino Books page. The heart of Camino Chronicle: Walking to Santiago is based on Susan’s travel journal, so it shows details of the daily life as a pilgrim. The book includes chapters on post-Camino reflection, preparation, and pilgrim statistics. View full review. I am featuring Camino love stories on this blog. Why? Because love is in the air! I certainly respect the premise of what happens on the Camino stays on the Camino. However, love is a splendid thing that should be celebrated. Has the Camino provided you with more than just a long walk? If you have a Camino love story to share, email me or use the form below. Photos and video links welcome. Thank you for sharing and for this account of your beginnings and continuings!! 👣We plan to leave SJPP 4/12/16. 👣We plan to be in Santiago about 5/25 and again 6/4. 👉When do you plan to be Walking into Santiago this 2016? Probably a week earlier than you have scheduled, but not sure yet. We will be coming in on the Norte (which you probably know joins the Frances at Arzua.) Have a wonderful adventure in Spain! Susan, I loved reading your love story. Your book, Camino Chronicles was one of the books I read before my first Camino in 2011. Your accounts of traveling as a couple were inspiring. Many thanks for all you do for the Camino and for other hikers. Thanks, Jane. And thanks to you for all that you and Dennis do to support and encourage others on their journeys! I am so glad I found your website. I have enjoyed reading your stories as they remind me of my Camino Norte journey of 2015. My camino experience continues…..
Hi Frank, So you were there in between our two trips to Spain and the Norte last year. We did one trip in May and a second one in September. It is a magnificent Camino and I am looking forward to doing the last kilometers of it and then doing the Primitivo. Hope your wife has recovered.